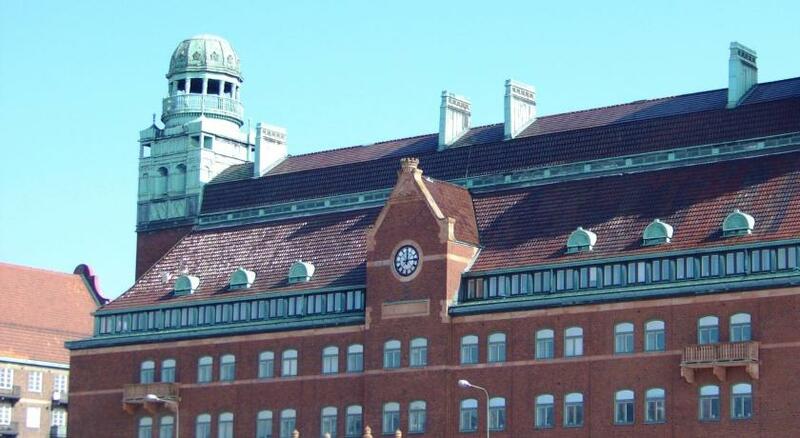 Lock in a great price for Mayfair Hotel Tunneln – rated 8.9 by recent guests! 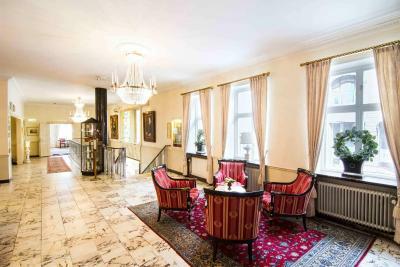 Historic hotel in a great location, with etentive staff. Absolutely fantastic experience. 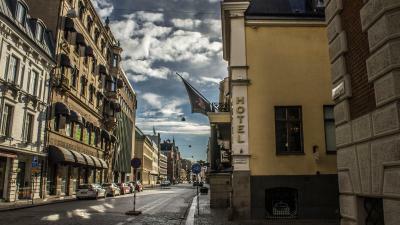 Hotel is in a historic building from the 14th century. Authentic elevator with a roll in cage, restaurant in the basement, don’t miss the breakfast buffet, 5 star for quality and selection. This is not for the high-tech seekers, with lots of metal and glass, although wifi is excellent, rather for people looking for style and comfort. Make sure you treat yourself a cup of tea at the library next to the boudoir. 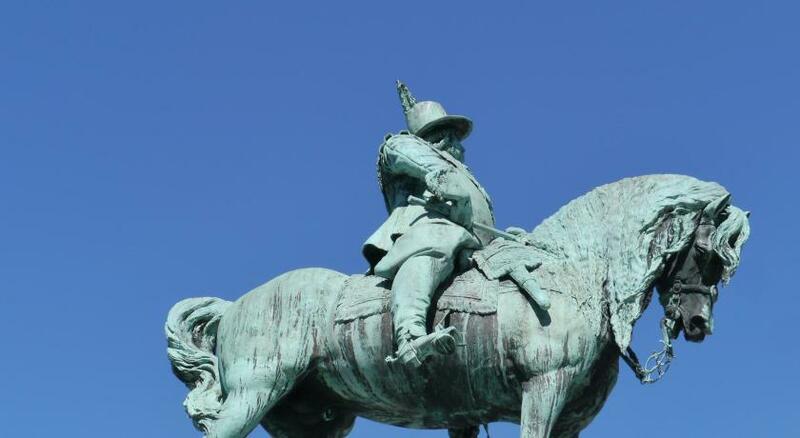 Very interesting and historical place. Quiet, clean, very good breakfast. 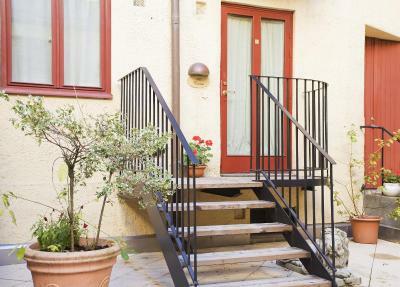 Great location - near to the central station and city centre. 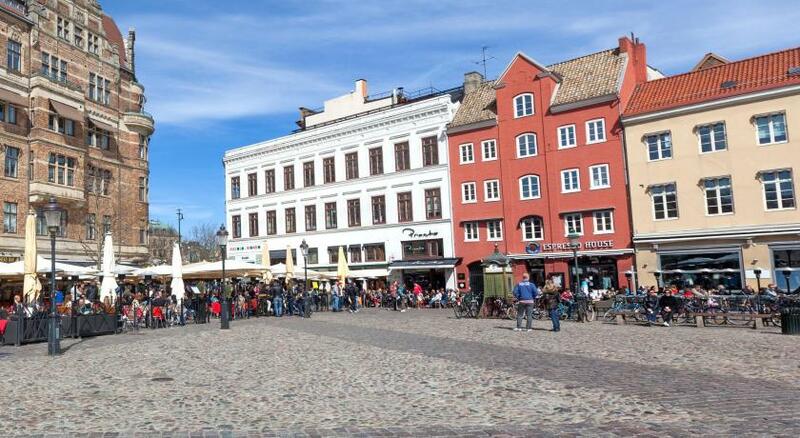 Super accommodating staff and lovely little gem perfectly located in Malmo city. The fabulous hotel as a whole, and the magnificent breakfast. 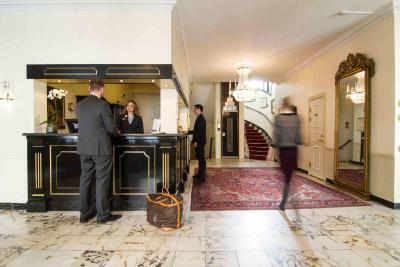 Evrything: the general atmosphere of the hotel, the lovely wallpaper, the cute corridors, the antique furniture, the adorable elevator, the friendliness of the people, the spaciousness of the charming room and the breakfast in the medieval cellar. 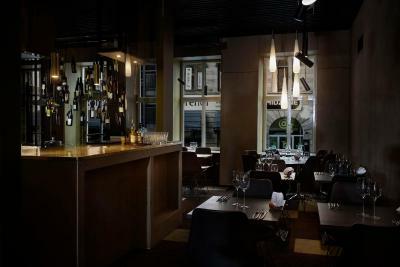 Attentiveness of the staff, lovely decor and comfortably appointed. 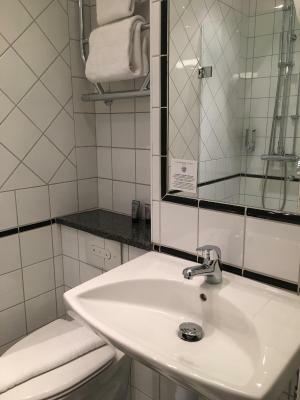 Mayfair Hotel Tunneln This rating is a reflection of how the property compares to the industry standard when it comes to price, facilities and services available. It's based on a self-evaluation by the property. Use this rating to help choose your stay! 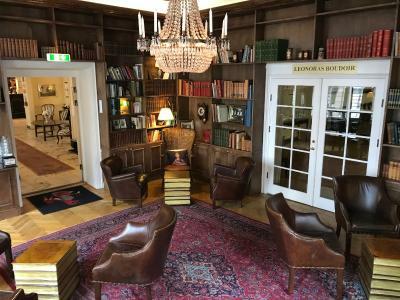 One of our top picks in Malmö.Just 500 feet from Malmö Central Station and Stortorget Square, this historic hotel offers free WiFi and a popular breakfast buffet served in a medieval cellar vault. Guest rooms include tea/coffee facilities and a flat-screen TV. Mayfair Hotel Tunneln is set in a 14th-century building once used by Swedish royalty. Some rooms have original, exposed ceiling beams. 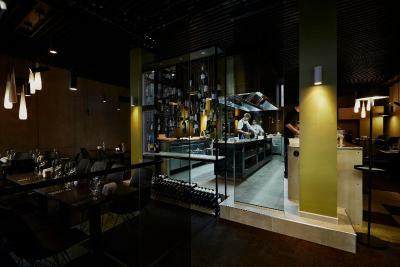 The on-site fine dining bistro Snapphane uses fresh, local produce in its regional dishes. 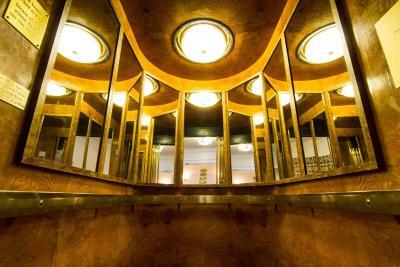 When would you like to stay at Mayfair Hotel Tunneln? 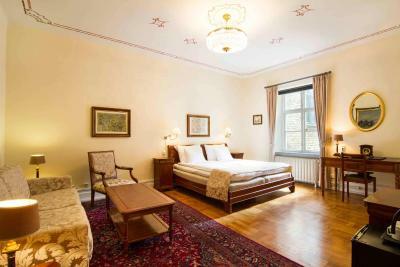 Classically decorated room with a mini-bar, work desk, as well as tea/coffee making facilities. The room has a flat-screen TV. 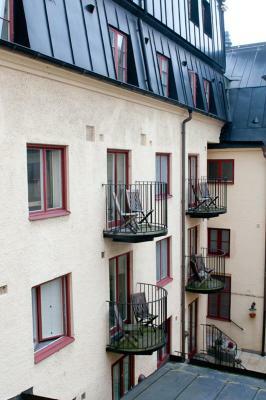 Public parking is available at a location nearby (reservation is not needed) and costs SEK 250 per day. Classically decorated room that offers a little more space, along with a mini-bar, work desk and tea/coffee making facilities.The room has a flat-screen TV. Classically decorated room with an adjustable bed and heated bathroom floors, along with a mini-bar and tea/coffee facilities. The room has a flat-screen TV. Some have original 19th-century wooden beams. 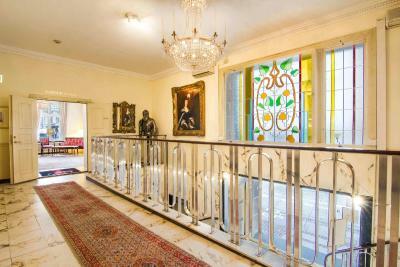 Classically decorated, spacious room that features a seating area with sofa bed. Also includes a mini-bar, tea/coffee making facilities and a flat-screen TV. 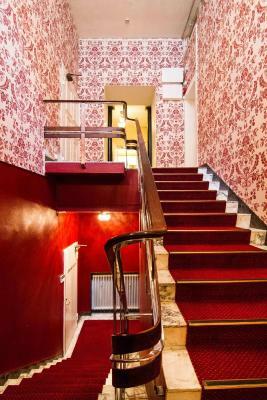 Classically decorated, compact room with a mini-bar, work desk, as well as tea/coffee making facilities. The room has a flat-screen TV. 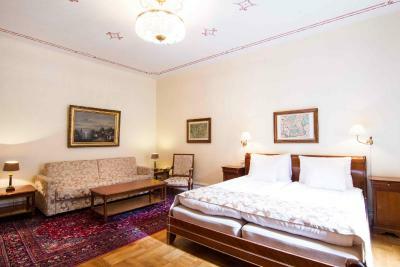 Classically decorated room that offers a little more space and larger bed. Includes a mini-bar, work desk, as well as tea/coffee making facilities. The room has a flat-screen TV. 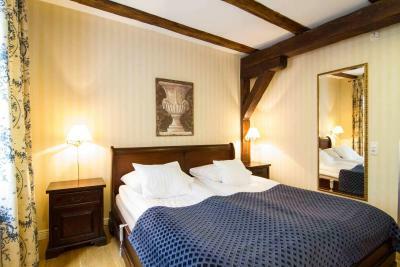 Charming room with original, exposed ceiling beams tea/coffee facilities and a flat-screen TV. The bathroom includes a spacious corner bath and a shower. Please note that 1 bed is an extra bed. 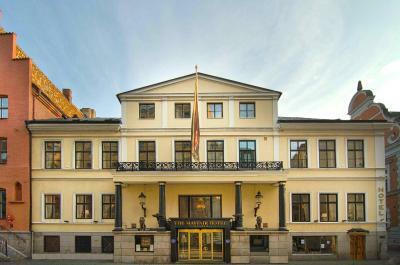 Winner of the 8th best hotel in Sweden 2012. 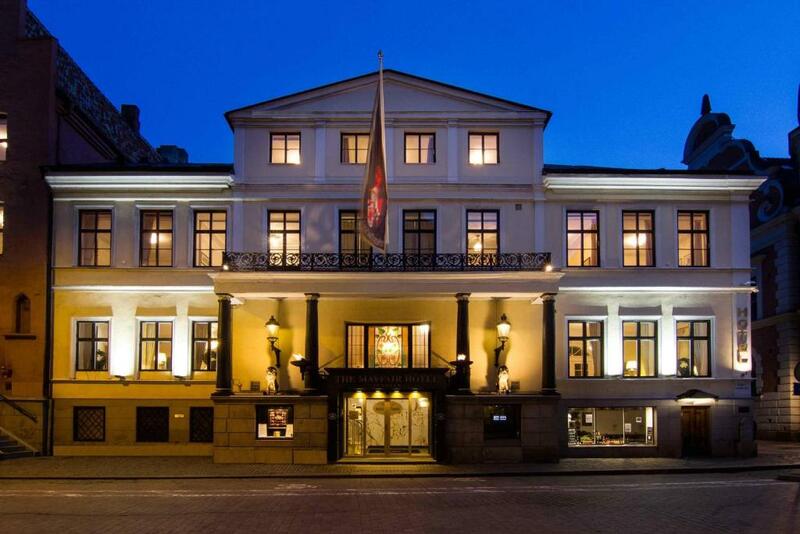 It has been a hotel for more than 100 years but the buiding is from the 13th century. 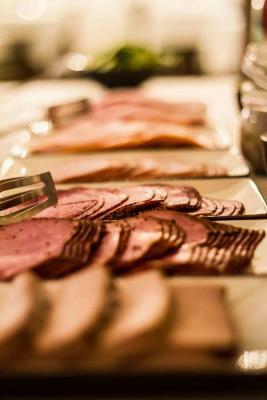 House Rules Mayfair Hotel Tunneln takes special requests – add in the next step! Mayfair Hotel Tunneln accepts these cards and reserves the right to temporarily hold an amount prior to arrival. Kindly observe that Mayfair Hotel Tunneln does not accept cash payment. Please note that Mayfair Hotel Tunneln is housed in an old building where rooms are not handicap accessible. If you wish to check out between 12:00-14:00 on a Sunday, please inform the hotel in advance. Please note that tables at Snapphane must be booked in advance. Please contact the hotel for further details. it looked the lift wasn't working on our 2nd and 3rd day, but no signs about it. Comfortable bed and a great breakfast make this hotel great value. No dislikes. Everything was perfect. Breakfast is amazing. The building and rooms are beautiful (we were in a regular room, not a suite). The staff gets a six stars. The 1932 elevator is awesome. 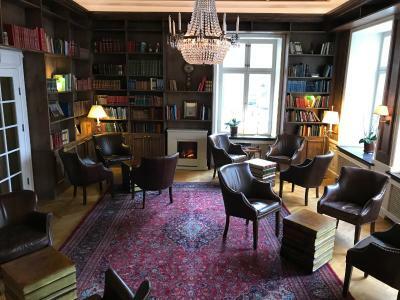 The library-coffee-room is a great place to relax. Of the 50 odd hotels we've stayed in traveling through Europe this is near the top. Oh, and it's family owned so you're supporting a small business. The hotel wasn't family friendly, thus if you are travelling with a baby (with a pram, bulky luggages), it would be rather inconvenient. To get to our room, we needed to overcome several obstacles: A flight of stairs right at the hotel, 2 lifts, the first lift being very narrow (lift had a history and a mini flight of stairs in between the lifts, ending off with a few more stairs right outside our room. So you can imagine the hassle of carrying the baby, lugging our bags, prams, etc. The breakfast place was also only accessible via a spiral stairs. 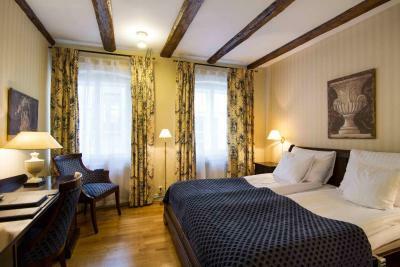 The rooms were well designed with themes dated back to the medieval times. 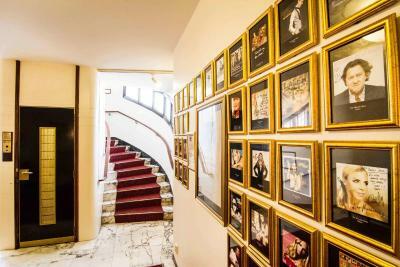 As such, the hotel has a rustic and ancient feel to it, with photos, descriptions of the hotels pasted everywhere. The staff were extremely professional and courteous. The most commendable would be the assistance rendered to us during our check out to carry our luggages from the room to the street out of the hotel. Breakfast had a decent spread. The hotel as a whole is a bit outdated but the bed itself was really not good. 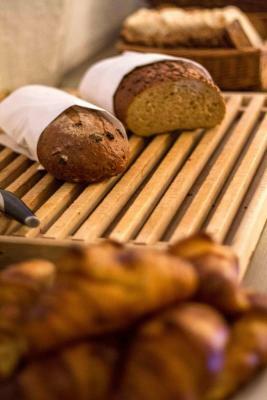 Great breakfast, nice historical hotel with the possibility to park in the garage oppositie of the entrance. This is an independently run hotel in an excellent part of town. Very friendly and attentive staff and lovely touches like tea and coffee in their beautiful library. My room was simple, small and quiet with a single bed and very good value for someone travelling alone, rate including an excellent breakfast in their atmospheric restaurant. The room and the bathroom was quite small. The location is great! Also the medieval building and the arch in the breakfast restaurant. I liked the details of the furniture and the decorations on the wall. The library on the first floor was amazing. according to the reviews we saw breakfast was described as "fabulous". we strongly disagree.. we liked the scrabbled eggs, but rather than that it was pretty okey-ish... shower needs to be changed according to me, the switch of the shower was a bit broken. WiFi in our room could be better. location is great - very convenient. loved the fact that they have a library where you can relax and have coffee / tea for free. very nice touch. The whole hotel is a little outdated. The bathroom was small but ok, except for the shower. The shower curtain did not prevend keeping the water inside the shower, because of which the whole bathroom was soaking wet. Convenient location. Breakfast was good. Bed was good.